Sunshine Cleaning Services is a full service janitorial and restoration company which meets the high standards of home and business owners in and around Owensboro, Kentucky. We understand that the image of your establishment speaks volumes about your business to your customers, and our professional cleaning services can take care of your image as you concentrate on operating your business. With over 50 combined years’ experience in the cleaning services industry, we are better prepared to keep your professional image intact. We specialize in general housekeeping, tile and upholstery cleaning, carpet cleaning, hard floor stripping and buffing, trash removal, and more. Our green cleaning services can ensure a clean, healthy environment for you, your family, your employees and your customers. At Sunshine Cleaning Services you will receive courteous, personalized, honest, high quality cleaning. We build our business on customer satisfaction realizing that You are our Number One best ad, as you tell others about the un-compromised service you received from us. We want you to be our regular and repeating customer. We appreciate your referrals. We appreciate You. Sunshine Cleaning Services is an IICRC Certified Company offering Residential, Commercial, and Property Management Cleaning Services. 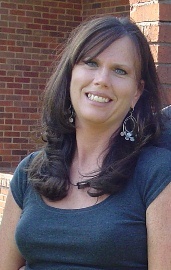 Letitia brings us over 25 years of cleaning industry experience. Her passion for high quality service puts us at the top of our field. She is both knowledgeable and personable. She understands your cleaning needs. 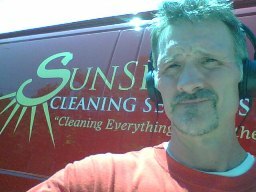 Mark brought over 20 years of factory environment job experience into Sunshine Cleaning Services when he joined the team in March of 2010. Since then he has taken our Carpet, Tile, Upholstery, Vinyl, and Concrete cleaning and restoration division to new competitive heights with technologically advanced equipment and our IICRC Certification. At Sunshine Cleaning Services we understand that one of our most valuable assets is our employees. That’s why each one of our employees are professionally trained and certified exercising the Sunshine policies of quality, honesty, integrity, and courtesy.